NACHISAN MARU was the only ship of her Class. 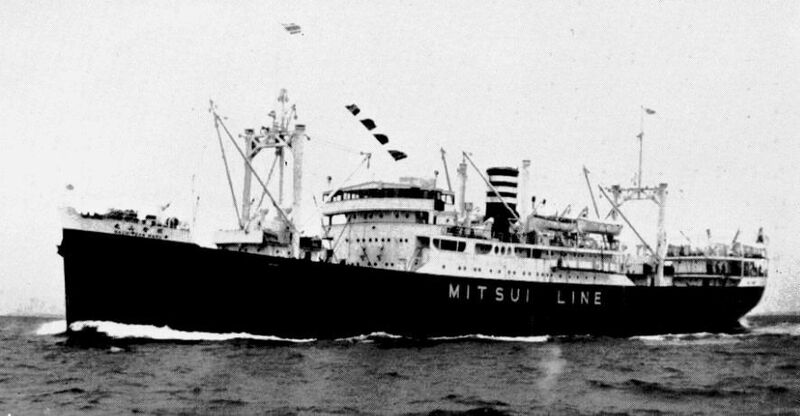 She was completed as a freighter under Mitsui’s 25 year fleet consolidation program. After her remodeling in '36, she became the company’s first passenger liner and could embark 231 passengers in addition to her 46 crewmen. Her turbocharged diesel engine, first adopted by the company, attained 15.5 knots on trial. Her commercial service ended in Jul '37 when she was enlisted in the IJN as an auxiliary transport. She was torpedoed and sunk by an American Submarine off Saishu-to (Quelpart Island), Korea in Nov '43. Propulsion: 1 Mitsui turbocharged diesel engine, 1,100 NHP, 1 shaft. Speed: 13.0 cruising, 15.5 max.